While the emotional trauma of a divorce may not last forever; a poorly written settlement agreement which fails to protect all your legal rights could remain with you for a lifetime. 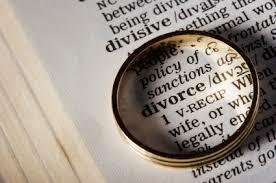 Whether your divorce litigation is complex involving numerous issues such as support, custody, personalty, real property, retirement accounts and the like or you have a simple divorce matter involving limited issues; Eileen M. Foley, Esq. can handle your case. With over 25 years of family law experience, Eileen M. Foley is fully familiar with all of the State statutes and case law to bring your divorce litigation either to an amicable settlement or complete conclusion at the end of trial. Resolution of divorce litigation through settlement proceedings such as mediation, are always preferable and can be achieved but sometimes settlement is not an option. If your divorce must proceed through the litigation process, Ms. Foley will litigate your family law case aggressively and pursue your case before the trial judge.